Home / Wine Resources / Learn About Wine / Who are the Most Famous Wine Critics & Personalities? Who are the Most Famous Wine Critics & Personalities? 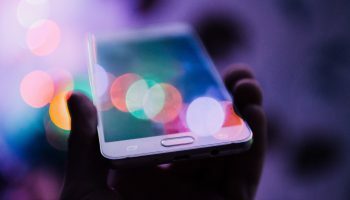 Within the illustrious and oftentimes confusing world of wine, famous wine critics have provided a trusted service to consumers in order to keep them better informed about the wines that they love. Passing on their knowledge, expertise, wine ratings and wine reviews each one helps to make wine more accessible and understandable with many gaining a loyal following by consumers who share a similar passion and palate. Listed in no particular order, we have collated an independent (and by no means, exhaustive) list of some of the most famous wine critics you should look out for and refer to if you’re interested in their particular wine region or field of expertise. 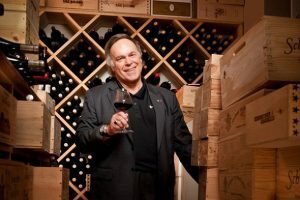 An industry household name and probably the single most influential critic in the world of wine, Robert Parker has in many ways shaped the wine industry to where it stands today. 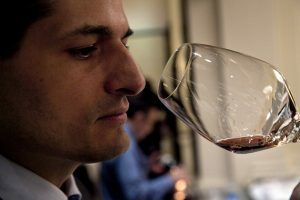 Andrew Edgecliffe-Johnson of the Financial Times once described his taste buds as “the world’s most prized palate”, and indeed it was – his nose and palate were once insured for a whopping $1,000,000! Back in the 1970s, Parker founded The Wine Advocate, a bi-weekly wine newsletter, which has garnered more than 50,000 subscribers and is most known for his influential ratings and wine reviews on Bordeaux, Rhône Valley and California wines, amongst many others. 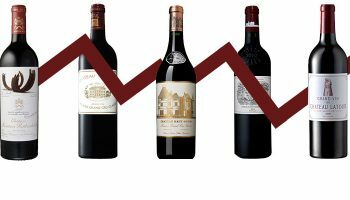 His 100-point wine-scoring scale is now so widely used within the industry it can often ‘make or break’ a wine. More recently, Parker stepped down from reviewing Bordeaux En Primeur and passed over his role of editor-in-chief to Lisa Perrotti-Brown MW, as well as, selling his interests in The Wine Advocate. 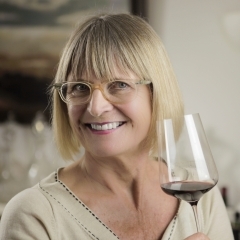 As the best-known British wine critic and journalist, Jancis Robinson OBE MW is dubbed as “the most respected wine critic and journalist in the world” by Decanter. She contributes to a weekly column in The Financial Times, writes for her website JancisRobinson.com and has collaborated on some of the most popular wine books, such as The Oxford Companion to Wine, The World Atlas of Wine and Wine Grapes. Most notably, in 1984, she was the first person outside the wine trade to pass the rigorous Master of Wine exams and she was honoured with the royal stamp of approval, an OBE, by Queen Elizabeth II for whom she regularly provides advice on the Palace’s wine cellar. Antonio Galloni started out as a budding wine enthusiast and tasting staff member of Robert Parker’s The Wine Advocate (TWA), where he gained attention and respect within the global wine community, eventually becoming a lead critic at TWA and authored 1/3rd of the wine reviews by 2012. Galloni eventually left TWA to start Vinous, a popular and trusted online wine publication that focus on his wine regions of expertise including Italy, Champagne, Burgundy and California. Before venturing into the world of wine publishing, Neal Martin worked for Lloyd’s of London and briefly moved to Tokyo to work as an English teacher. It was in Japan that he gained his exposure to wine while working for a Japanese wine export company, where he was responsible for the likes of Pétrus and Latour. 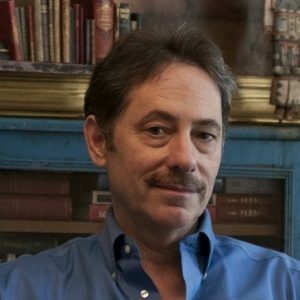 In 2003, he launched his own website, Wine-Journal, which gained the attention of Robert Parker. It was soon after in 2006 that Robert Parker approached and took Neal under his wing as a protégé and contributor to The Wine Advocate. Neal’s contributions to TWA include articles and tasting notes on Sauternes and Burgundy, as well as, album reviews and in 2016 he would later go on to take over Parker’s role as the main reviewer of Bordeaux En Primeur. After only two years in the role, Neal announced that he was joining Antonio Galloni at Vinous as senior editor and reviewer of Bordeaux, Burgundy, South Africa and New Zealand. 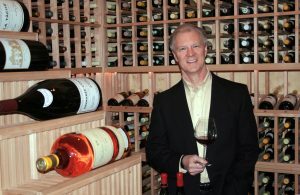 A wine critic, journalist and cigar aficionado, James Suckling’s taste for the finer things in life have propelled him to being one of the most well-known and influential wine experts of the world. He has over thirty years of experience in wine and was the senior editor and European Bureau Chief of The Wine Spectator. 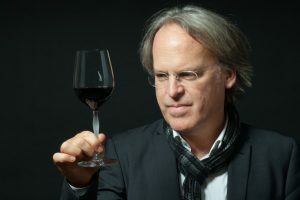 In 2010, he left The Wine Spectator to set up his own online wine publication site that provides up-to-date reports and information on current on-trend wines, en primeur, tasting notes, blog posts and videos. 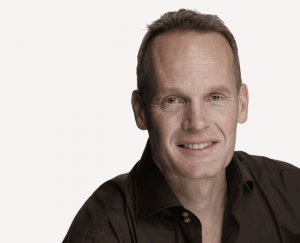 Allen Meadows started out as a financial executive (and a successful one at that!) but found his higher calling in the world of wine. 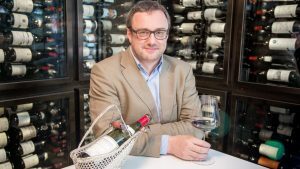 In 2000, he left the banking world to set up his own wine publication, BURGHOUND, which offers newsletters, wine reviews and tasting notes from the Burgundy region. 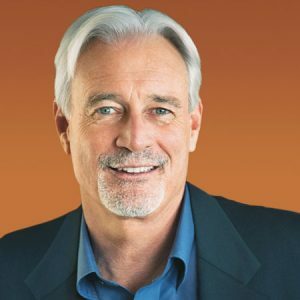 He is a highly respected and critically acclaimed publisher in over 60 countries and along with this he also holds an interest in pinot noir wines from California and Oregon. James Laube is The Wine Spectator’s leading authority on wines of California and has published multiple books regarding the matter. The first edition of his California Wines won the award 1996 James Beard Award for best wine book of the year. He has been contributing and publishing for The Wine Spectator since 1980 and is the main contributor to promoting Californian wines on the world stage. Stephen Tanzer is a wine critic, editor and was the publisher of the bi-monthly International Wine Cellar since 1985, with a particular focus on the wines of Burgundy, Piemont (Italy), California and Bordeaux. In 2014, Antonio Galloni’s Vinous moved to acquire Tanzer’s International Wine Cellar, where the articles and published reviews are now a part of Vinous’ extensive and impressive archive. Tim Atkin is an active and high-profile British wine critic that regularly produces wine reviews for Women and Home, Intelligent Life, Off License News, The World of Fine Wines and Imbibe. His writings and contributions have earned him many awards, including the UK Wine Guild Correspondent of the year. He also hosts his own website with reviews, reports and tasting notes focusing on Rioja, the Rhône Valley, South Africa, Bordeaux, Burgundy, Argentina, Brunello, Washington State, Napa and Oregon. Jeannie Cho Lee is a Hong Kong-based wine critic, journalist, educator and Master of Wine. 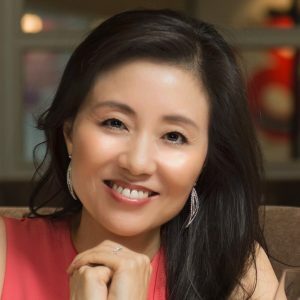 She initially launched her career as a business journalist in Asia, writing for many business publications including Far Eastern Economic Review. Later, she pursued her love for wine and moved to contributing articles for international wine publications such as The Wine Spectator, The World of Fine Wines and La Revue du vin de France. 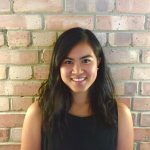 In 2004, she joined Decanter as the contributing editor for Asia. Lee is currently a professor at Hong Kong Polytechnic University, where she helped to launch the Master of Science (MSc) in International Wine Management program.